Does a member’s Net Promoter Score® predict their length of stay? How does the number of hassles and uplifts experienced by a member affect their likeliness of being a positive club Promoter or negative club Detractor? 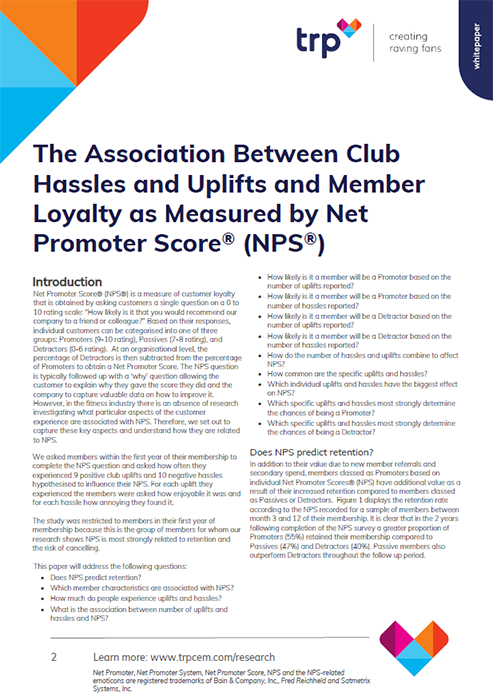 Which specific uplifts and hassles have the greatest impact on NPS®?